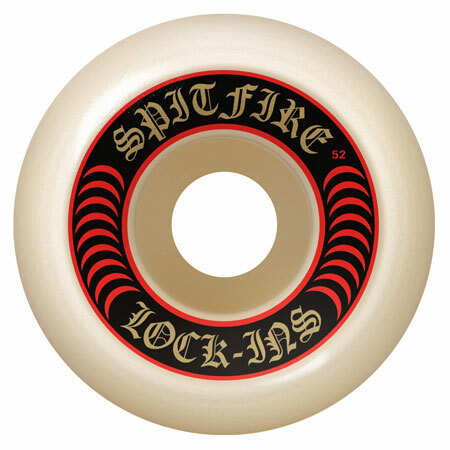 The Spitfire Formula 4 Lock-In 99a Wheels are an asymmetrically shaped wheel designed for more control. A conical cut on one side with a straight edge cut on the opposite built for precise lock in grinds. 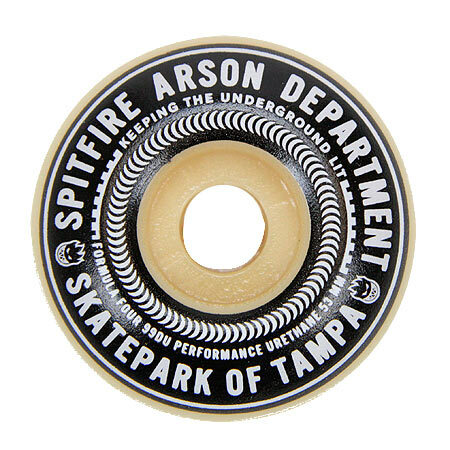 Tested by Spitfire Team riders, Formula Four Performance Urethane lasted longer, withstood more abuse and performed superior to all other wheels. Spitfire Formula Four Urethane was developed to combine all the desired properties of a performance wheel without sacrificing any one attribute at the expense of another. Formula Four's True lasting Performance Urethane comes not from a single benefit, but from a combination of qualities and features that together produce a truly great wheel, Formula Four Performance Urethane is unlike any other.